Here's a pic of her 2016 NHRA Car. Her old man John Force did beat her a couple times head to head! So are the traxxas funny cars gonna be chevy bodies now? It's a awesome paint job! 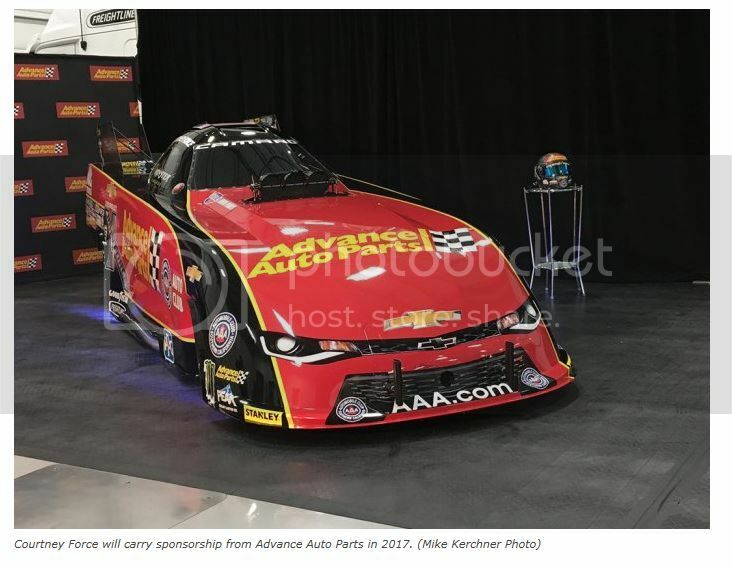 They just announced it today, Traxxas is no longer Courtney's primary sponsor, Advance Autoparts will be her primary sponsor starting in Pomona in February. Last edited by MotoXXX; 12-09-2016 at 12:55 PM. Did Traxxas pull out of NHRA ? ?